Shorter design for maximum ground clearance on cars lowered up to 4''. Not recommended for generation six 502cid engines with aluminum heads. Fits manual and auto trans floor shifts only. Big block frame stands and motor mounts must be used to insure proper engine location and header fit. 52 - Will not fit Saginaw close ratio with 825 power steering box. Note: This product is Legal for use on 1974 and older non catalyst equipped vehicles and is considered a “replacement part” per California Air Resources Board regulations, as long as ALL emissions sensitive components are retained, including A.I.R., EGR, Heat Risers etc. Failure to retain any of these components, or use on any 1975 or newer catalytic converter equipped car would render this product Illegal for Street or Off Highway Use in California, or in states that have adopted California Emissions regulations and may only be used for Closed Course Competition. Patriot GM Car Specific Fit Headers are built with surface machined thick steel flanges for a great seal and mandrel bent mild steel tubing. Patriot headers are available raw or with metallic ceramic coating. Unlike paint or chrome, metallic ceramic coating is easy to keep clean, resist rust and corrosion and will not discolor. Metallic ceramic coating also reduces underhood temperatures. 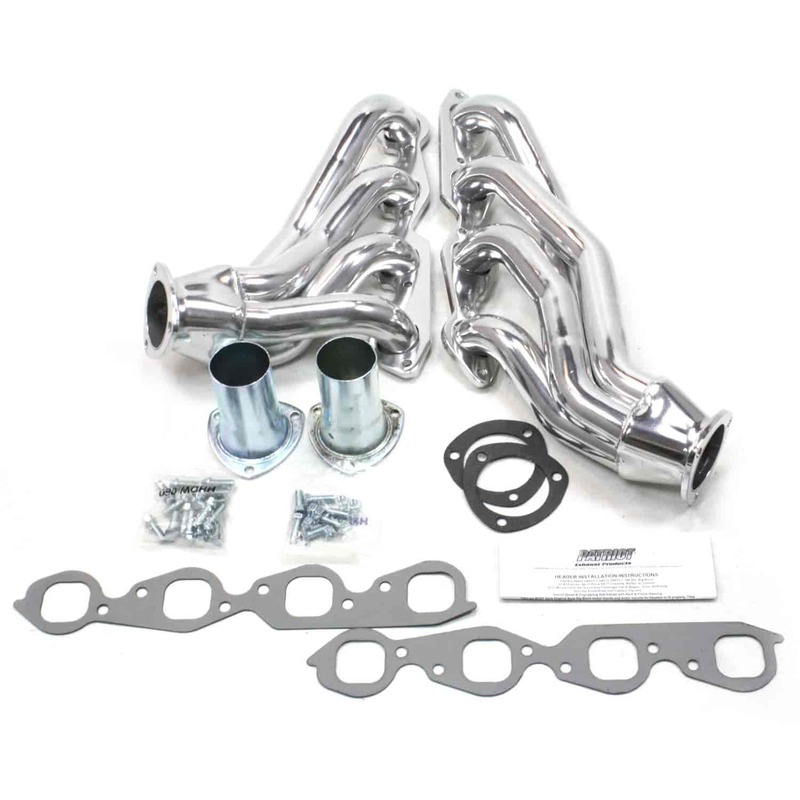 All Patriot headers come with installation hardware, collector reducers, gaskets and instructions. Does Patriot Exhaust H8013-1 fit your vehicle? H8013-1 - Patriot GM Car Specific Fit Headers is rated 5.0 out of 5 by 1. Rated 5 out of 5 by 1972 Jimmy from Nice Piece Very nice piece! I'm installing these headers with very little frame modification into a 1972 GMC Jimmy 4x4.